Sales & Marketing is the most preferred domain of the Class of 2014. It was also the most preferred domain of the Class of 2013. The most preferred recruiters in the domain are bound to be dream companies for hundreds. Technology companies are fast becoming poster-boy recruiters on campuses. From 2013, we also look at most preferred recruiters in the technology domain across segments of respondents. Verdict : FMCG companies rule the Sales & Marketing space. FMCGs are dominant recruiters and are also the most preferred. Management trainee programmes of FMCGs are well -defined and there are dedicated campus teams that conduct activities all year round. 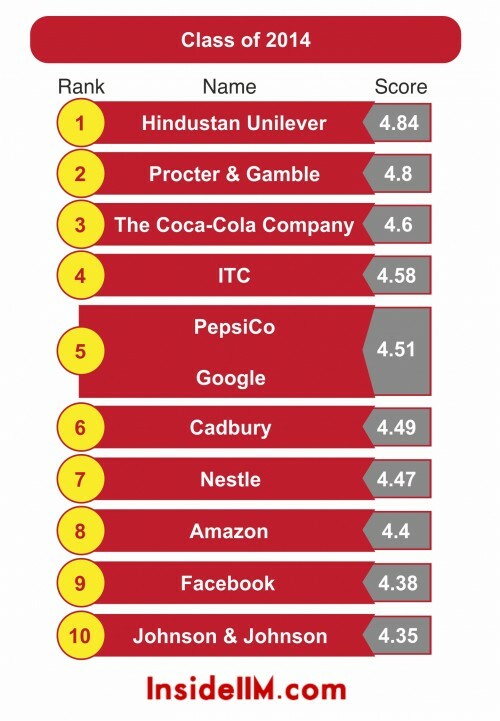 A career in FMCG is generally sold far better than by companies in other industries on campuses. Also, attrition levels in FMCG are relatively lower than in other industries. Hindustan Unilever continues to dominate this space. 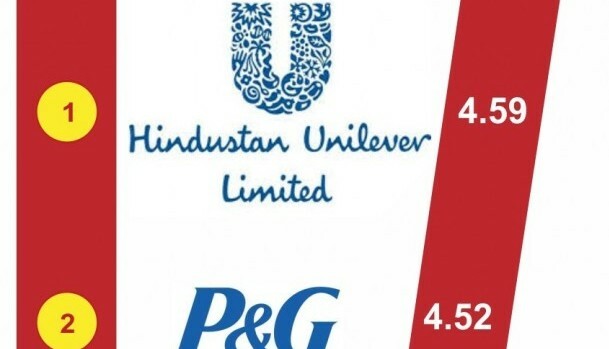 However, P&G is neck and neck with HUL. It is a close call and P&G has a disadvantage because it visits fewer campuses. Both the companies retain their top two positions. 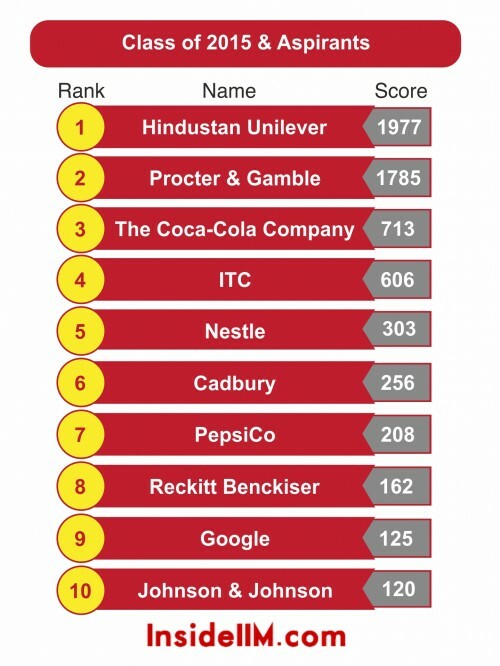 Coca-Cola and ITC also remain popular among the Class of 2014 and the first year students and aspirants. 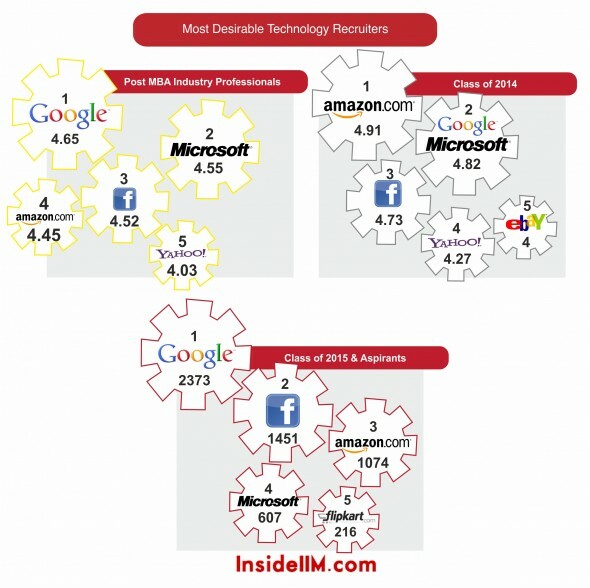 Marketing roles at Facebook and Google are popular with Post MBA Industry professionals. It is generally perceived that it is difficult to move to a FMCG company from a different industry when moving laterally. See the top 10 lists below. 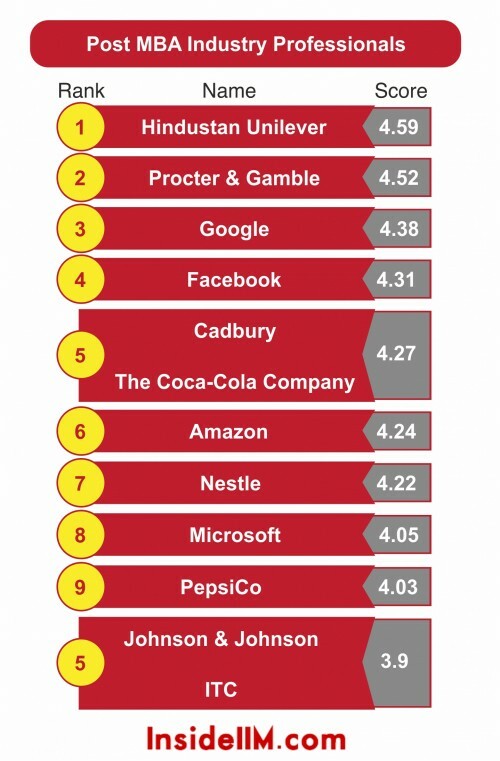 All companies are either from the FMCG or Technology industry. Our survey included companies from other industries as well. Since it is the first year of our survey in the Technology space, there are no trends to talk about except that Indian companies are not really a big hit with Business school students or industry professionals. 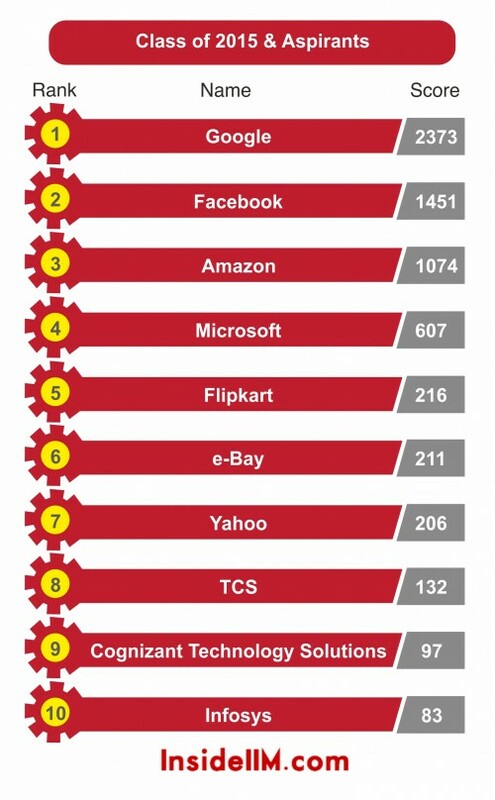 Flipkart is the only company to make it to the top 5 – among 1st year students and aspirants. 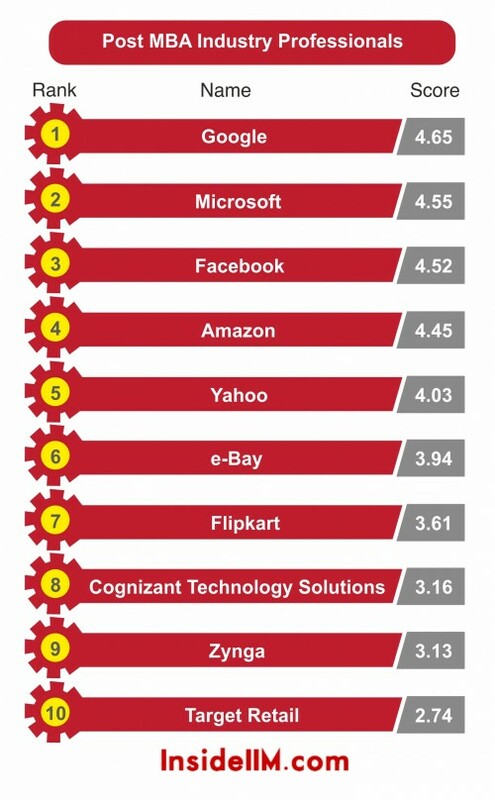 Microsoft has been in India for long and has recruited for almost a decade now. Google is relatively new and visits few campuses. Amazon and Facebook are new boys but with a lot of brand power. 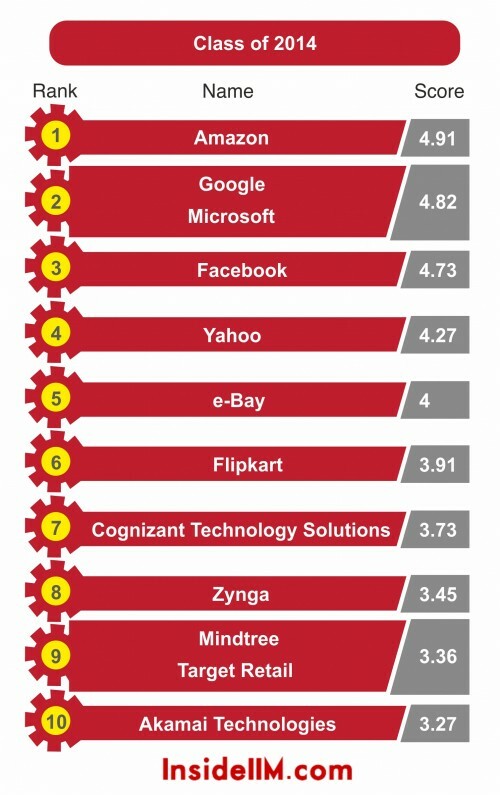 Some Indian companies do feature in the top 10 below. We see these sectors becoming even more popular in the near future. The fixed salary component at most of the top companies above is comparable (in some cases more) to other sectors considered more ‘lucrative’. Most of the companies above have very low attrition rates, they provide stability and are also perceived to offer better work-life balance. In the Marketing space, companies work very hard to manage their reputation as employers and attract the best talent. The effort behind it is visible and is duly acknowledged by students as seen by the results of this survey. You will see more when the dream companies results come out tomorrow in part V.
The class of 2014 (who selected either of two domains above as their preferred domain) and Post-MBA professionals (who are working in that respective domain) were asked about their preferences about working in each company on a scale of ‘Most Desirable’, ‘Highly Desirable’, ‘I’m Confused’, ‘I do not wish to apply’ and ‘I have never heard of this company before’. A mean score was calculated where Most Desirable is scored as 5 and I have never heard of this company is scored 0. 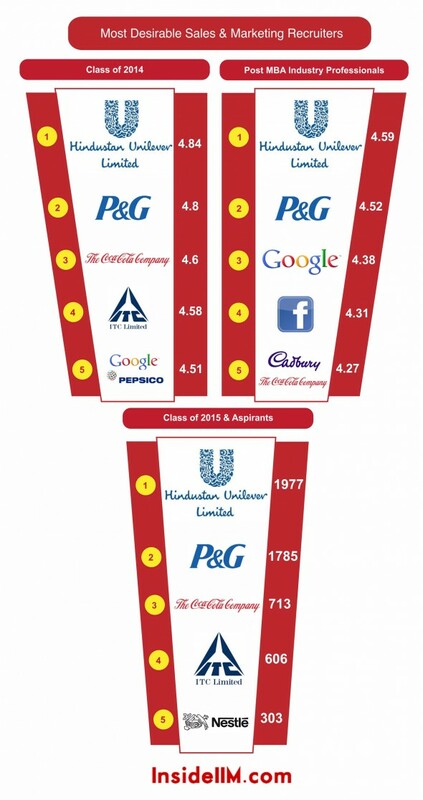 MBA aspirants and 1st Year MBA students – Class of 2015 were asked to simply rank their top 5 companies. A weighted scored was calculated assigning weights of 10,6,4,2,1 for the 5 ranks.